Nissan's reusable EV battery future | What Car? 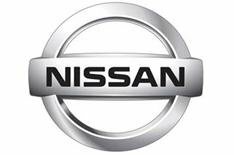 Nissan has announced plans to reuse the batteries that will be used by next-generation electric cars. The company has already committed to become one of the world's biggest makers of battery-powered electric vehicles (EVs), but now it intends to also become a major player in the battery market, setting up a joint venture with the Sumitomo Corporation to create up to 50,000 'second life' battery packs a year by 2020. The modern lithium-ion battery packs used to power EVs are extremely expensive to make and hard to recycle, giving Nissan a strong incentive to find further use for them. Even after an expired battery pack is removed from a car, Nissan says that it will retain between 70 and 80% of its capacity - enough to allow it to be used for energy storage. Possible uses include capturing energy from renewable sources such as solar panels. The principal advantage for EV owners is that reuse will potentially reduce the cost of battery packs. Nissan claims that money it makes from reselling batteries means that it will potentially be able to lease customers batteries for a cost comparable to that of the fuel bills for a conventional car.